Every magazine I have read this past month has had articles on cleaning the house and redecorating or remodeling. Visit my blog, “Spring Cleaning”, April 15, 2013 for care of your vintage textiles. One tip, for now, is please check your collection every couple of months for proper storage. Take your textiles and refold them in a different pattern or, better yet, roll them. When textiles remain folded the creases become difficult to remove. If there is pressure on the folds (by stacking the textiles atop each other) the fibers will weaken and may, in time, break. Now for the remodeling. We recently remodeled our kitchen and are very pleased with the results. But you don’t have to completely redesign or remodel to create a new look for your rooms. Of course, the designers would love you to consider new paint, new furniture, maybe remove a few walls. There are many ways to freshen your living quarters without going broke or winning the lottery. Naturally, I’m talking using textiles to express your design personality. Tip #1 Start with what you already have. While you are refolding your stored fabrics, linens and other textiles, consider using them, in perhaps a different manner than they were first intended. When you put away your heavy, winter bed coverings could you exchange them for an embroidered sheet and shams from the 1930’s? Do you have a lace curtain panel that could be placed at the foot of the guestroom bed? How about a 1940’s cotton tablecloth for your eat-in kitchen table? Tip#2 Consider when to purchase new fabrics or use vintage. For kitchens, linens from the 1940’s and 50’s are entirely appropriate and easily found in thrift shops. These textiles were made from cotton and are actually very durable. They have been washed many, many times throughout the years and are found in cheery patterns and colors. Tip #3 If you are planning a new look or are decorating a new home do your homework by visiting high-end furniture and design stores. They will display various vignettes using coordinating styles . You are no longer required to style your home depending upon your location. Quilts are not only for New England, pastel palettes not only for Florida. One suggestion I always offer: go “ethnic”. This style is definitely in favor right now and very, very easy to introduce into your room décor. In my home I have Indian dhurries as floor covers, Indonesian batiks and ikats as throws and table covers and African Kente cloth for pops of color and interesting, geometric patterns. These all cohabitate with southwestern pottery and tribal art. 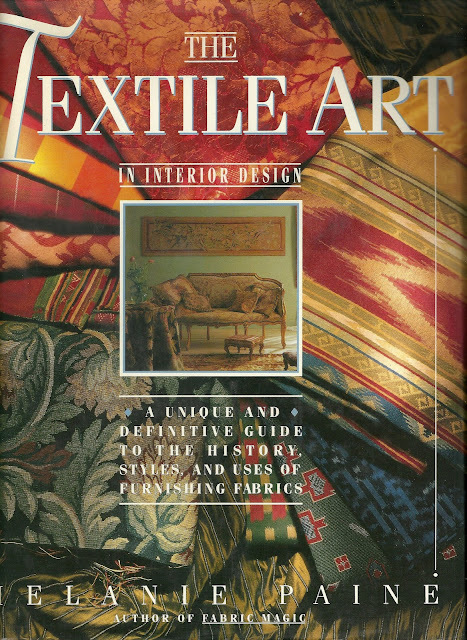 Many ethnic fabrics and textiles can be found , whether vintage or modern reproductions. Tip #4 It is your home or apartment or dorm room. Your surroundings should reflect your interests. Some prefer a minimal approach, some like to display collections. To keep from creating sterility or chaos include meaningful objects. More is not only more!! More is confusing. Complete absence of texture, color and form is not only boring but does not reflect your personality. Decorating is a talent that requires some degree of experimentation. If, at first, you are not entirely pleased with your efforts, try again and be open to new ideas!!! This is one of my favorite references.